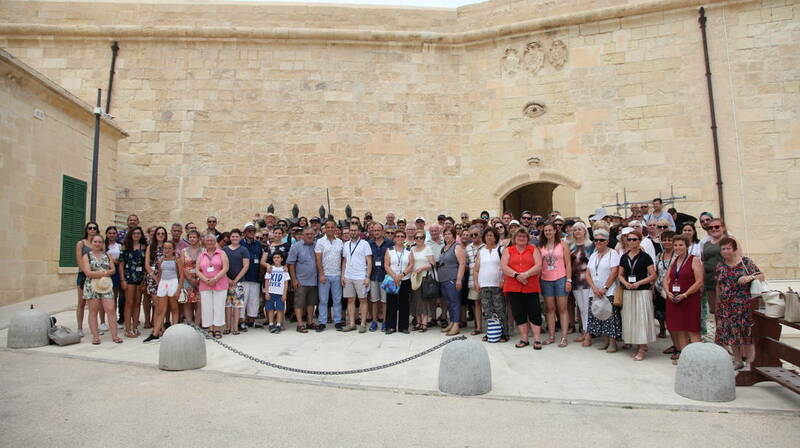 Delegates from the European Charter of Rural Communities visited various historical sites during a Valletta tour organised by the Valletta 2018 Foundation in collaboration with the Nadur Local Council. The Nadur Local Council this year held the 30th edition of the European Charter of Rural Communities bringing mayors, vice mayors and councillors from all 28 European states for their annual meeting. The meeting of the European Charter of Rural Communities took place in Nadur between the 19th and 23rd July with Valletta 2018 Chairman Jason Micallef addressing the delegation at the official opening and together with Nadur mayor Edward Said unveiled an installation commemorating the occasion in Ta’ Kenuna, Nadur. Mr Micallef said that this is exactly what Valletta 2018 is all about – a cultural project which brings together different people from various communities, cultures and different experiences.